What is Product Marketing? — Stratomic. Depending on the organization you’re working in, the role of product marketing can take on many different forms. As such, it is difficult to define the role product marketing plays as it varies from business to business. In SMEs, product marketing may not exist as a standalone role with the responsibilities split between product management and marketing. It could also be owned by one or other. In larger multi-national organisations, product marketing might split by region to feed local market knowledge into a central, global function. If the role of a product manager is to build products, product marketing’s role is to help sell them. It’s the difference between getting products on the shelf versus getting them off the shelves. What this doesn’t factor in is the importance of market research. It’s essential to understand both the market and the buyer to increase your chances of success. We recommend using jobs to be done and outcome-driven research. Another viewpoint is that product managers focus on their product, while product marketers focus on the specific verticals in which to position their product for success. Multiple products can span multiple regions, but not all products are right for every market. It’s often better to segment product by market to maximize the chance of getting product-market fit. In this way of thinking, product marketing is responsible for understanding each local market (the buyers, competitors, regulatory situation, and so on) and passing this back to product management. On the other side of the coin, product management needs to balance different market needs to develop a single product that works across every market. With the goal of reaching the economies of scale associated with the ‘build once, sell many times’ model. Local product marketing teams should then localise the product messaging and pricing to fit the market’s needs. This takes us onto a third viewpoint: product managers know what to say about the product, but product marketing knows how best to communicate that message to the market. This goes down to the channels and platforms that are most effective for delivering the message. That could be crafting a highly targeted content strategy, attending specific trade shows or deciding which social networks are optimal. In all of the businesses I’ve worked in and alongside, no two businesses have the same structure to their marketing teams. And, even then there are many flavours in the world of marketing. Corporate marketing is most concerned with brand and reputation. Marketing communications spend its time talking to the market. Regional marketing is responsible for aligning messages across individual regions (for example, Europe, North America, etc). Finally, local or field marketing is responsible for an individual market. Product marketing focuses on specific products and acts as the customer champion in each case. It becomes an axis for all marketing related to that product, which is then supported by each of the different elements of a marketing team. Team structure also differs by the size of the company and, in small or medium sized businesses, the marketing department may well be responsible for all of the above. When the company develops more complex products, product marketing will become its own function. This allows product marketing to focus on gathering very specific information to facilitate development of the required sales and marketing materials. In this case, the marketing organisation or an external agency will support product marketing. Having said that, even in smaller businesses, it’s important that there’s at least one product expert in the marketing team as it enables the rest of the team to focus on delivery. The relationship between product management and product marketing can best be described as a partnership. Ownership is split across the two functions. 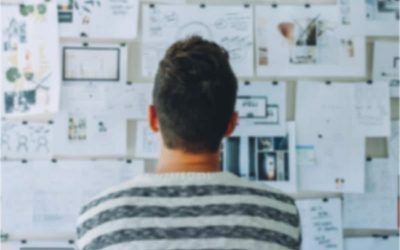 Typically, product marketing leads the product launch planning once development is underway, and they start testing assumptions on the market at this point. In some businesses, product marketing owns the product’s high-level requirements based on their understanding of the market. Product marketing also drives the product’s promotion in the run up to (and following) its launch through marketing enablement. In this scenario, product management is focused on delivery. Product marketing serves as the business owner for the product and has ultimate accountability for the product’s success. In other businesses, product management takes the lead. They pull together the market needs from product marketing, existing customers, and market research. They balance the commercial requirements with user experience needs as well as technical and operational realities. This enables the product manager to make the right trade-offs to drive the product (and business) forwards. When defining, developing and commercialising products, there are 20 different activities that should happen if the product is to be successful. However big the company is that’s building the product, one or more individuals should be coordinating and executing on all these activities. 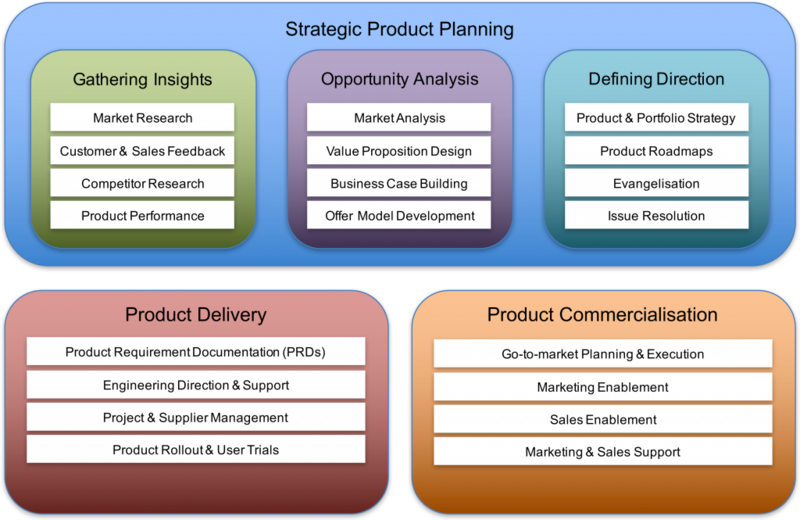 The framework is split into three segments – Strategic Product Planning, Product Delivery and Product Commercialisation. 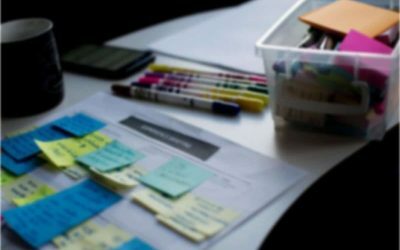 Within the Strategic Product Planning segment, there are three elements, which are Gathering Insights, Opportunity Analysis, and Defining Direction. To understand the split between product management and product marketing your organisation, it would help to define where each of these segments sits. Some elements of the Product Realisation Framework may not have been assigned to an owner in your business. I strongly recommend ensuring any unassigned activities have a defined owner, whether you have a formalised product marketing function or not. 1. Adopt a process and framework within which you take products to market. The product realisation framework is an example that I’ve used to launch a range of very successful products. 3. Define the group or individual which has ultimate responsibility for the success of every product. Does it lie with product management, or product marketing? The understanding the product realisation framework will help you here. 4. Gaining a deep understanding of your customers and prospects you’re selling to, including their psychographics and buying triggers. Build buyer personas – it enables the sales process can be tailored to the different types of buyers. This is not just a job title; consider a day in the lives of each different buyer. 5. Finally, it’s essential to understand the maturity of each market you’re selling to. Different markets will likely require a bespoke go to market strategy. 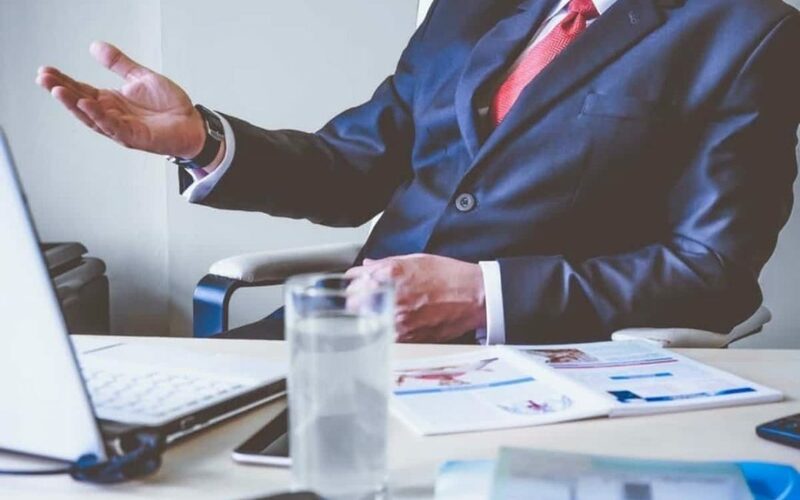 This ensures the product is well positioned, customers understand the value of your product, and the sales and marketing teams have what they need to sell effectively to each market.